Roosevelt and Austin--you've found The Island! 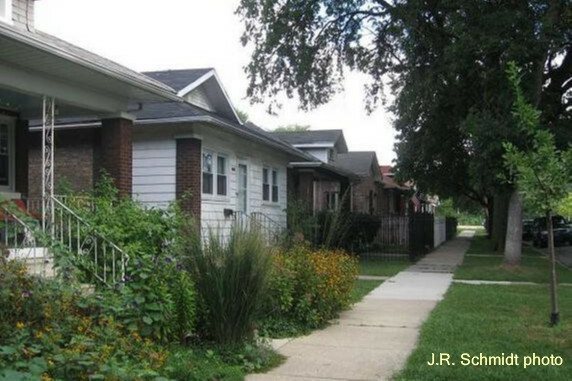 The Chicago neighborhood known as The Island is only about eight miles from the Loop. But it’s the kind of place you won’t find unless you are looking for it. And even then, you might miss it. Go straight west out Madison Street. Just before you hit the suburbs, you arrive in Austin. This is Community Area #25, one of the city’s largest in both area and population. The Island is the far southwest corner of Austin. Why call this neighborhood The Island? The name is explained by geography. First of all, The Island is cut off from the rest of Chicago. To the north is Columbus Park and the Eisenhower Expressway – and even before the expressway was built, there were three rail lines at grade level here. Directly to the east is a major factory area. So much for the connection to Chicago. What about the other two sides? To the south is a suburb, Cicero. To the west is another suburb, Oak Park. The result is an isolated neighborhood totally surrounded by alien territory–an island. The precise boundaries of The Island are vague. Some locals claim that only the five residential streets count. Others want to include all of Census Tract 8314. To make things simpler, I’m declaring that The Island is the area bounded by Austin, the Eisenhower, Central and Roosevelt. 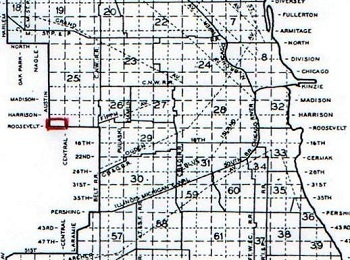 When the Town of Austin was annexed by Chicago in 1899, The (future) Island came with it. Then the area was mostly vacant. The "L" came through shortly afterward, and the Chicago, Aurora & Elgin interurban line. The 12th Street (Roosevelt Road) streetcar line was also extended to Austin Boulevard. The 1920s were the years for building. The blocks east of Austin Boulevard were filled in with bungalows and two-flats. The other side of Menard Avenue was zoned for factories. 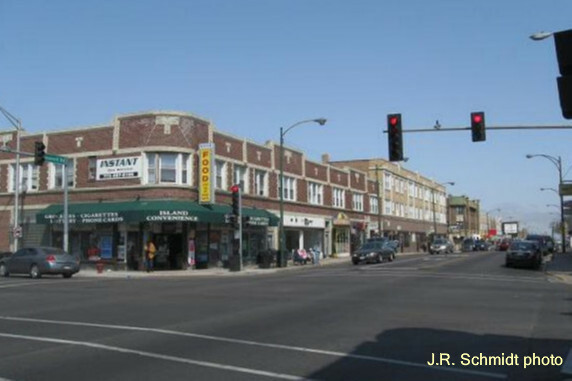 A ribbon commercial strip developed along Roosevelt Road. Around this time people began referring to the neighborhood as The Island. A monumental event in local history took place on April 27, 1926. William McSwiggin, an assistant state’s attorney, was gunned down as he left a speakeasy at 5615 West Roosevelt Road. The crime made national news and was never solved. Technically, McSwiggin died on the Cicero side of Roosevelt–but the killers did drive by on the Chicago side! As a matter of record, two of The Island&apos;s most famous residents were gangsters. Ralph Capone and Sam Giancana both lived in the little enclave before moving to the suburbs. My onetime pastor, Father Bob McLaughlin, grew up in The Island some years later, so perhaps that evens things out. The Island was historically a white area. In 1984 the neighborhood made ugly headlines when an African-American family who&apos;d moved in was harassed and driven out. Today the population is integrated. In 2012 The Island is home to about 1,700 people. 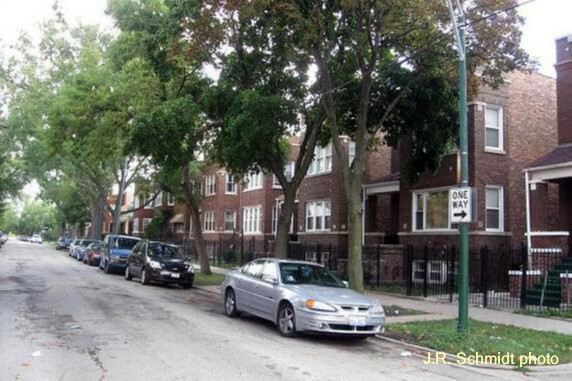 The residential streets look much the same as always – quiet, clean and well-tended. The most notable changes have taken place in the industrial zone. Though some factories remain, many have been replaced by other types of business. A small shopping plaza has opened at Roosevelt and Central. The old Victor Products factory has been replaced by Hartgrove Hospital. 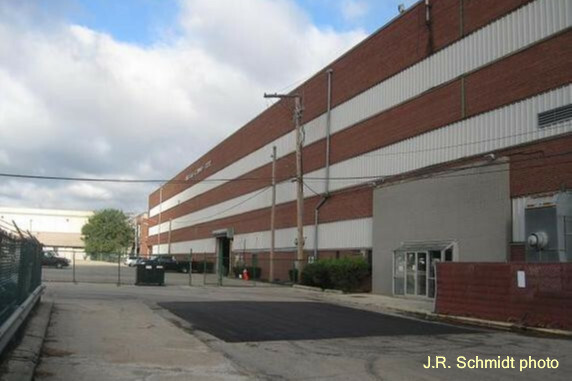 Along Taylor Street, Chicago Studio City operates a 100,000-square-foot facility with three soundstages, the biggest film-making plant between the coasts. 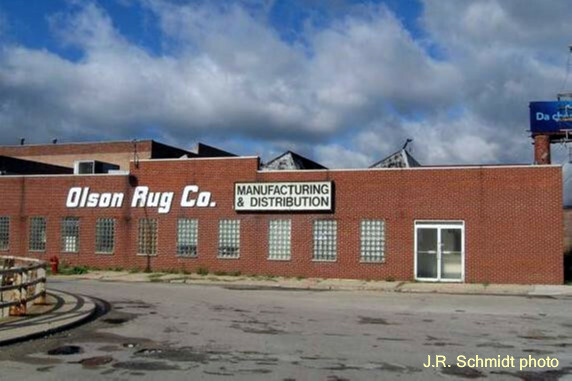 The Island is also home to Olson Rug Company. Older Chicagoans fondly remember the park at the company&apos;s former headquarters on Pulaski Road. Now that the industrial land is being revitalized, is there a waterfall in the future for The Island?